There are Top Ten lists ... and there are TOP TEN lists. This episode of Standard Orbit is about the latter. Many online lists, from prominent geek culture websites, favor Season One heavily and with good reason. Rarely if ever, are Seasons Two and Three as equally represented. These lists also cite City on the Edge of Forever as being the quintessential TOS episode of all time - if not for all of Star Trek. Feeling that these lists were imbalanced and incomplete, we wanted to look at each season of TOS for what we would recommend as "essential viewing." 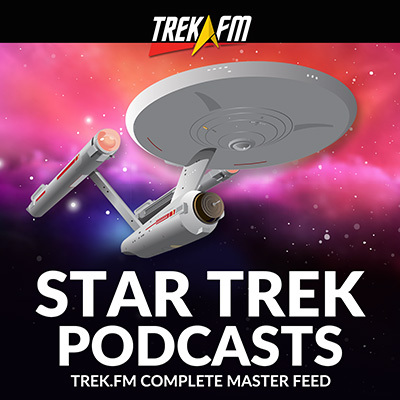 Our goal for this episode, and for the upcoming TOS Essentials podcasts, is to offer a new and perhaps in many ways - different "best of" list for each season so that newcomers to The Original Series can use our recommendations as an essentials starter kit; episodes chosen from each season and not heavily influenced by any one in particular. We believe our listeners will truly enjoy these comprehensive recommendations compiled by their very own Refit Crew; podcasters and friends they have come to know and trust here on Standard Orbit. This week on Standard Orbit, host Zach Moore continues to showcase The Sci-Fi Channel Special Edition by sharing its "extras" on his top three episodes of TOS: Where No Man Has Gone Before, The City on the Edge of Forever and Arena. These extras feature interviews with guest stars Sally Kellerman and Paul Carr as well as legendary writer Harlan Ellison and other behind-the-scenes insight from actors William Shatner, Leonard Nimoy and producer Herbert F. Solow. Boldly listen! In this episode of Standard Orbit: Hayley Stoddart and Ken Tripp discuss this game changing episode, especially if you enjoy playing cards. A Piece of the Action allows our heroes to have some fun while fixing the damage from a book left behind from a starship 100 years earlier. For someone who claimed to be emotionless and that emotions were "alien" to him, Spock certainly became "emotionally compromised" quite frequently over the years. This week on Standard Orbit hosts Ken Tripp, Zach Moore and Hayley Stoddart discuss Spock's emotional moments in The Original Series, the movies and the Kelvin Timeline. Standard Orbit 250: Who Mourns For Phillips? This week on Standard Orbit, hosts Ken Tripp and Zach Moore discuss the odd jobs on the original Enterprise. From historians to meteorologists, often times the characters who hold these positions appear out of nowhere for one story and are never heard from again. Which of these highly specialized jobs make sense to have on a starship, which ones don't, and what other types of officers would we have liked to have seen on the Enterprise? This week on Standard Orbit, host Zach Moore is joined by sociology professor and Star Trek historian John Tenuto to discuss the long history of Star Trek toys. We discuss John and his wife Mary Jo's appearances on Netflix's "The Toys That Made Us," the famous (and infamous in some cases) action figures by Mego, the ever-other-movie approach to toys and merchandise in the TOS movie era, the evolution of action figures in the modern age of collectables and many of John and Zach's favorite Star Trek toys from over the years. This week on Standard Orbit, hosts Ken Tripp and Hayley Stoddart take a deep dive into what defines Captain Kirk. Is he really a cocky ladies-man rule breaking warrior or are these descriptions a big oversimplification? We ask you to boldly listen and decide for yourself! As Leonardo da Vinci once said, "Art is never finished, only abandoned." Nicholas Meyer would seem to agree, as he returned to both of the Star Trek films he directed to create alternate director's cut. This week on Standard Orbit, hosts Ken Tripp and Zach Moore discuss the differences between these alternate versions and their original theatrical counterparts, which versions they find superior, and some of their non-Star Trek, favorite director's cuts. Boldly listen! Standard Orbit 245: How Many Kellicams Is Beijing From Shanghai? What would watching The Original Series in stardate order look like? Would it create any continuity errors? Would it solve any? How does The Animated Series fit into all this? 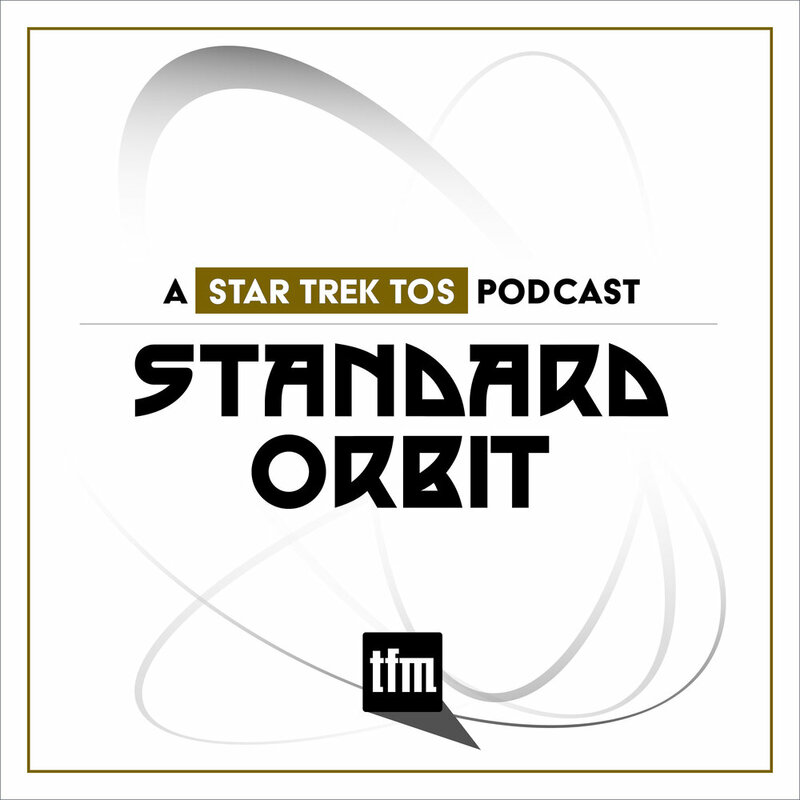 Hosts Ken Tripp and Zach Moore go deep into the rabbit hole of TOS era stardates this week on Standard Orbit. This week on Standard Orbit hosts Ken Tripp, Zach Moore and Hayley Stoddart discuss the classic episode The Devil In The Dark. From its progressive message of understanding and communication to the minutia of Janus VI's maps and uniforms, it's a fun conversation about one of Star Trek's finest hours. This week on Standard Orbit Ken Tripp teams up with Brandon-Shea Mutala at the Northeast Trek Convention in Albany, New York. Ken and Brandon share their adventure and observations recorded from inside the Albany Capital Center. This week on Standard Orbit hosts Hayley Stoddart, Zach Moore, and Ken Tripp discuss the life of actress Grace Lee Whitney and the impact her character, YN Janice Rand, had on Star Trek. Standard Orbit 241: Where Are The Robots? This week on Standard Orbit hosts Ken Tripp, Zach Moore and Hayley Stoddart discuss the androids featured throughout the course of The Original Series. From Ruk and Dr. Korby's creations to V'Ger's Ilia probe, there are more than you think! Standard Orbit 238: Can She Pronounce His First Name? This week on Standard Orbit hosts Ken Tripp and Hayley Stoddart talk about what has to be one of the more complex relationships in Star Trek; Spock and Uhura during the Kelvin Timeline. This week on Standard Orbit hosts Ken Tripp, Zach Moore and Hayley Stoddart continue their conversation with Lee Sargent from "Lee Draws 365 Star Trek Scribbles." We discuss his Alt Trek series of drawings that mix and match films and episodes with different crews, the inspiration behind them, and go down the rabbit hole of canon vs. head canon when it comes to our favorite franchise! This week on Standard Orbit hosts Ken Tripp, Zach Moore and Hayley Stoddart welcome Lee Sargent to discuss his 365 day drawing challenged appropriately titled "Lee Draws 365 Star Trek Scribbles." Lee shares the origins of his Star Trek fandom, his history with drawing challenges, some of his favorite subjects to bring to life on the page and also some of his most challenging, and other franchises he enjoys drawing. 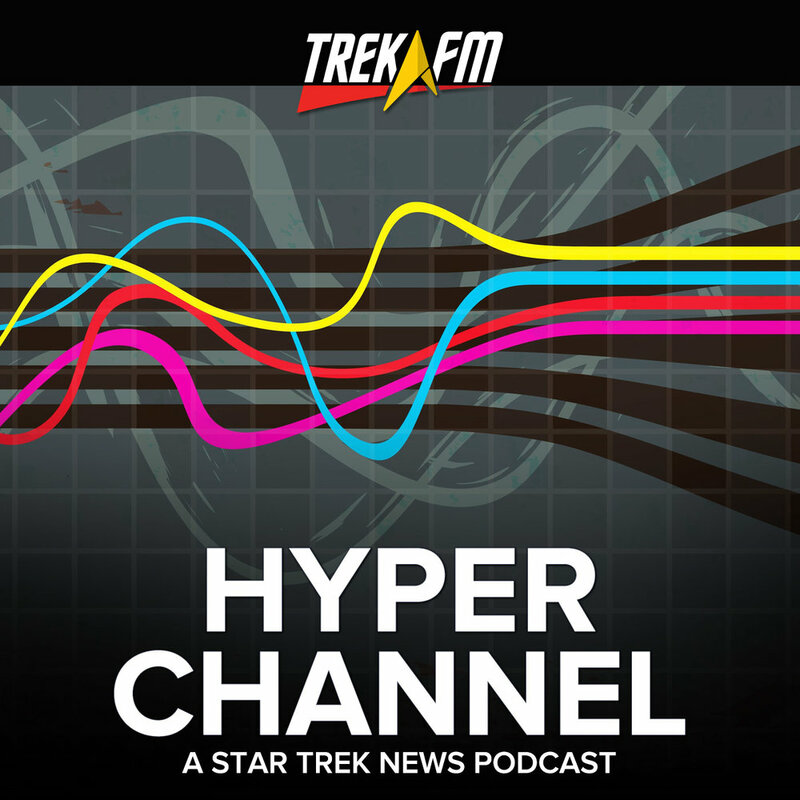 This week hosts Zach Moore and Hayley Stoddart are joined by Joe Giannetti to discuss Star Trek: The Sci-Fi Channel Special Edition from 1998. Join Hayley, Zach, and Ken as they review all three roles Diana Muldaur played on Star Trek across two generations. Boldly listen as we explore this dynamic and, from a TNG POV, controversial actress and her impact on Star Trek.